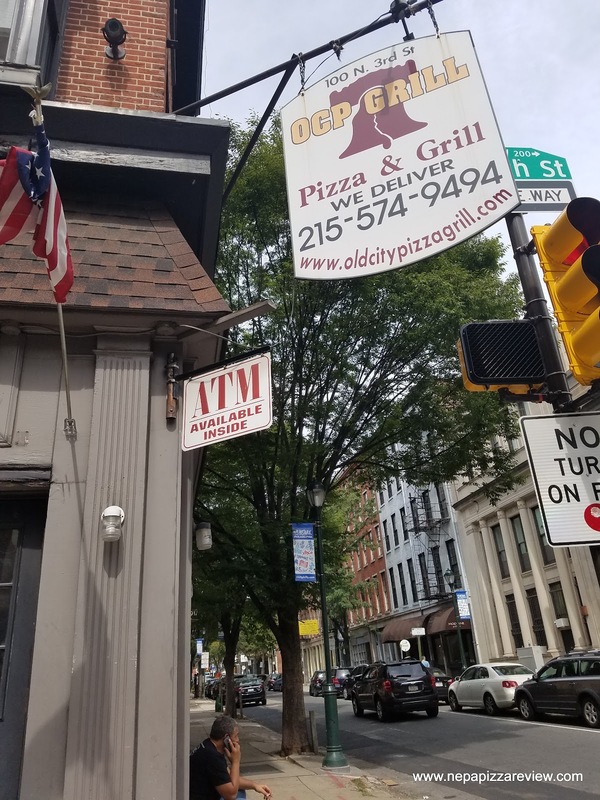 Old City Pizza - A Historical Materpiece or Philly Flop? If you follow me on social media, you might have noticed that my family and I hit up several cities over the summer. To close out the summer, we headed to the City of Brotherly Love to soak up some history, fun, and of course - pizza. To be honest, after eating at 14 different pizzerias in NYC and DC in less than 4 days, I wasn't going to be as aggressive in seeking out pizza on this trip. Plus, Philadelphia is known more for its cheesesteaks rather than its pizza. 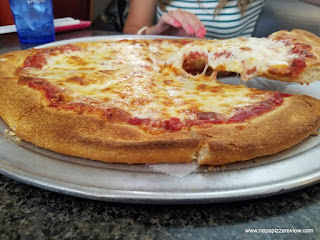 Although judging from my pizza blogger colleagues' reviews, there is some great pizza in Philly, I've had many mediocre pizzas in the city over the years. 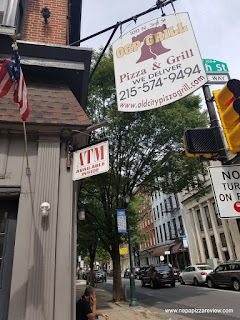 After hitting up the United States Mint and Ben Franklin's burial site, we were all struck with hunger and passed Old City Pizza and decided to stop in. 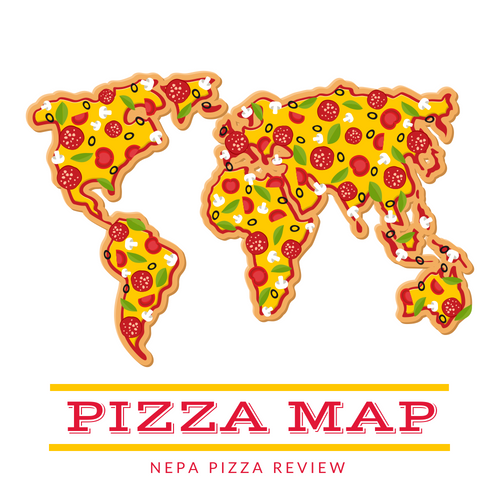 A quick check of google maps showed a 3 star rating, so I sort of knew we weren't in for a great pizza, but I've been surprised before. The menu proudly stated that "The pizza is a masterpiece in itself. Using the freshest ingredients available, the cheese is an award winning Wisconsin blend & the sauce is our mix of herbs and spices." I gleaned a few pieces of information from this bold statement. First, the cheese is from Wisconsin, so I knew I would be dealing with some form of cheddar. Next, I learned that the sauce is only comprised of herbs and spices - no tomatoes (haha)?! Finally, I of course learned that we were about to try a masterpiece of a pizza. 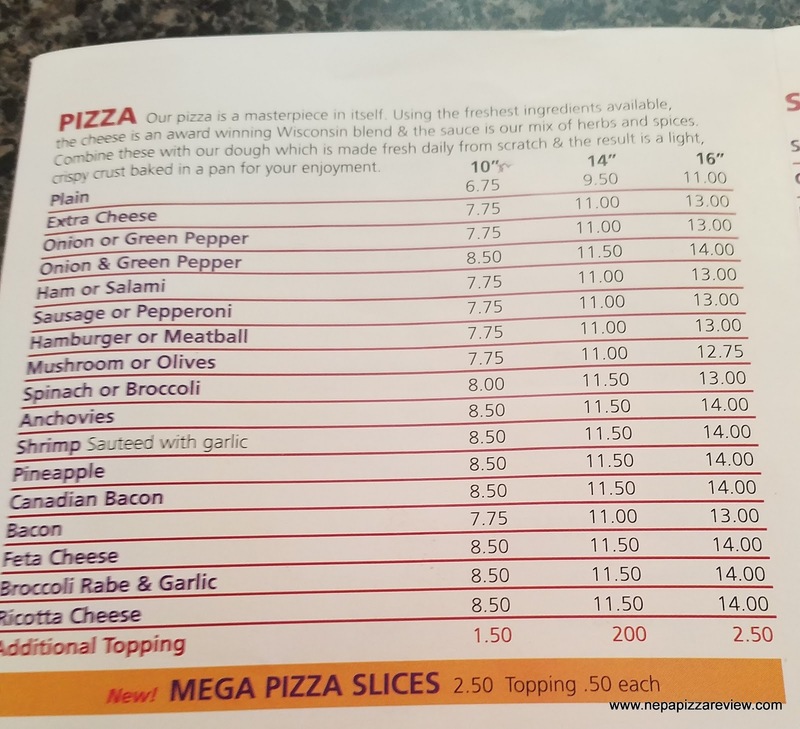 We ordered a large plain cheese for $11.00, and got ready to feast. While we were waiting, I ran across the street to Rocket Fizz candy store with the little one. I highly recommend checking out this throwback candy store with old school candy and the craziest soda collection I've ever seen. After checking out soda flavors like Alien Poop, Barf, Buffalo Wing, Cotton Candy, and my favorite - Bacon Soda, we got the text from the First Lady that the pizza was ready so we hiked back across the street. What I saw on the tray was highly disappointing. There was no masterpiece as I was promised. 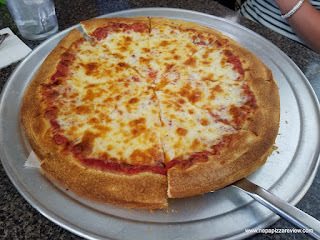 What lied on the table was your typical cafeteria/bowling alley/gas station/stadium pizza. My immediate thought was, why didn't we ignore our stomachs and listen to google or the pizza bloggers I had been researching?! Anyway, we dug in eagerly to find that the pizza tasted about as good as it looked. 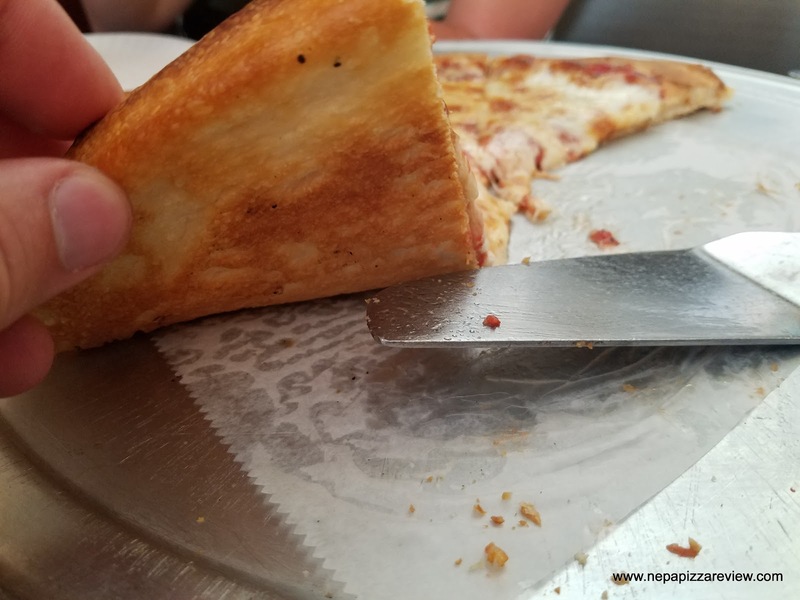 The cheese was salty, and when you bit into it, the cheese from the whole slice pulled right off. The sauce had a tin taste and was clearly was a budget brand tomato, and the crust wasn't all that bad. It was a bit thicker as you can see in the photos, had a decent crunch, and was relatively chewy, but it got monotonous eating the crust without any cheese because it was all gone after the first bite. 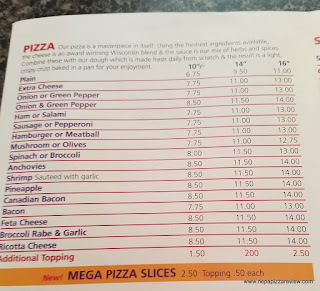 My first thought was that $11 for a 16" pizza in Philly wasn't a bad value, but after seeing the quality, I'd say that's a really high cost for a low-end pizza. The bottom line: skip this tourist trap.